Do you have a fear that fasting in Ramadan might have a harmful effect on your health? 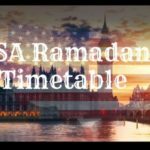 Find out the surprising Benefits of Ramadan according to science for the human body that you will enjoy in Ramadan and their long-term positive impacts even after Ramadan. There are more than 10 health advantages and the importance of it. Ramadan is the chance for us to attain spiritual purification. 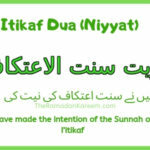 Millions of people avail the peace of souls by fasting for 30 days from dawn to dusk each year. But there are some people who worried that fasting might have a bad effect on their health. Especially parents became too worried about the health of their children and think that fasting is not good for the health of their children who stays at the hostel for study or job. 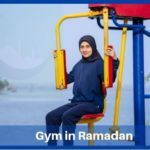 If you are also one of these health conscious people then check out our list of benefits of Ramzan and you will be surprised how Ramadan and fasting bring magical advantages for our health and spiritual strength. Ramadan provides us a golden opportunity to refresh our faith on one God and last Prophet Muhammad (PBUH). Nowadays, we spend most of the time in doing our materialistic jobs and don’t find time to talk to Allah, even we skip our regular prayers to do some other task. By doing so, we might complete our daily task but it brings unease for our soul. When our soul became disturbed then it also affects our body and we could not perform well. As if we watch our daily routine, whenever we offer our prayers regularly and recite the Quran it makes our soul relaxed and peaceful and we suddenly feel refreshed. So, Ramadan takes us out from the whirls of this temporary world and we attain taqwa by fasting. Fasting arises a sense of fear in us that someone beloved is watching us and by breaking His rules we will make Him angry. In this way, we start watching our acts out and tends toward virtue to please Allah. In this so-called modern society, some people build illegal relationships and involved in immoral activities. We are not able to show patience while arguing with someone and jump to abuse language and even at physical fighting. But when we fast, we prohibit ourselves from all these kind of stuff. We restrain ourselves from food, water, illegal activities, and immoral acts which release the burden from our soul and makes our soul refreshed from the taste of virtues. As a result of our body also feels pleasure and serene. The inviting and appealing stuff of this modern world had spoiled our healthy life’s soberness. As we continually eat and drink something like snacks, tea, coffee, and fizzy drinks throughout the day and the breakfast, lunch, and dinner are still at their place. This too much indulgence heading us towards the problems of obesity. The excessive consumption of caffeine in the form of coffee and tea makes us addicted to it and we feel down if we don’t take tea or coffee on time. But while fasting, we are not allowed to drink and eat so, the overeating, coffee, tea, and unhealthy drinks go for a break. A person who is addicted to constant snacking, nibbling, and smoking could this unhealthy obsession out by fasting. So, have you loved these benefit of Ramadan? Don’t worry! This is not over yet as there are many others which are listed below. Elders teach us to eat three dates in iftar due to spiritual reasons to earn thawab. But eating dates also have some amazing benefits to our health. Eating dates at the start of iftar is beneficial for our body as it helps us to restore low blood sugar and provide required energy to our body to function properly after a daylong fast. Dates improve the digestion as there is enough amount of fiber that we attain from dates which are good for digestion. As well as, there is a high level of potassium, magnesium, and vitamin B stored in dates which makes it clear why this is the most preferred food to break the fast. Another amazing Benefit of Ramadan fasting! You might already know that fasting increases your spiritual focus and mental comfort. But have you ever listened that fasting has incredible brain-boosting powers? A study conducted by the scientist of USA reveals that the mental focus you achieved in Ramadan rises the neurotrophic factor up and as a result body produce more brain cells and the brain function is improved. As well as a distinct reduction takes place in the amount of hormone cortisol which is produced by an adrenal gland and it greatly reduces the stress level in Ramadan and after Ramadan. 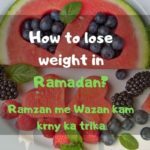 In Ramadan, people became worried that they are losing weight which might be harmful. But there are lots of healthy changes that take place behind the scenes. A team of cardiologist specialists from UAE found that fasting reduces cholesterol level in blood. Low cholesterol reduces the chances of suffering from heart disease. Fasting increases the efficiency of metabolism which results in the better absorption of nutrition from food. This happens due to an increase of adiponectin hormone which is produced by fasting and eating late at night. Due to efficient metabolism, various body areas absorb the better amount of required nutrition’s to function properly. In Ramadan, we eat much less as compared to our daily routine. Due to the reduced eating throughout the Ramadan, the stomach shrinks and you feel filled by eating less food. 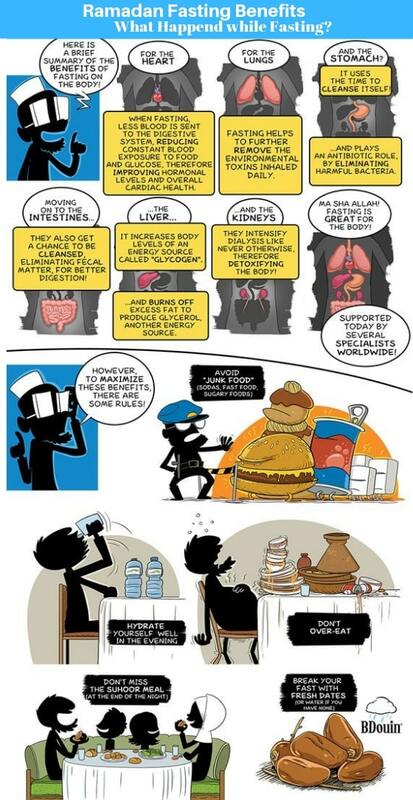 So Ramadan is best to change the bad habit of overeating and adopt good eating habits. At the end of Ramadan, you will feel that your appetite has fallen and then you can maintain your weight more easily.